E-commerce is the ability to conduct transactions online, opening up a new national or global market to your company with lower costs to yourself and added convenience to your customers of being available 24/7 so that they can shop at their convenience. This is the fastest growing retail market in Europe and with some reports showing that up to 89% of people now prefer to shop online, can your business really afford to miss out on your share of this and not be a part of it? A shopping cart is an ideal addition to any company selling products as it allows you to display a portfolio of your products on your website and provides a fully automated ordering system. Your customers are allowed the freedom to browse through pictures and details of your products, adding the items they wish to purchase to their online 'basket' and then pay for these at the end when they reach your 'checkout'. A shopping cart system requires no sales staff and operates 24/7 meaning additional sales opportunities for your business without the costs of conventional sales methods. 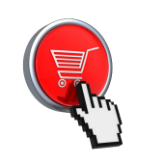 Various shopping cart solutions are available ranging from popular pre-written packages for example OpenCart. Many of which allow you to change the theme very quickly enabling you to have a fresh look to your store, without the need to have a complete overhaul to achieve a new look. In order to acquire payments on the internet, you require a payment service provider. For a personal or small business site then a service such as Paypal may be sufficient for your needs. With a larger volume of transactions being processed or if you require a more professional image, a professional payment acquisition solution is required. In conjunction with a merchant account from an approved bank, a payment service provider acts as the online credit card terminal, taking your customers details securely, authorising the transactions and so acquiring payment for your products & services. We are happy to be able to recommend SagePay (formerly Protx) as our provider of choice. We use SagePay for our own payment processing, and as a SagePay partner, our experienced web design staff are able to assist you with seamlessly integrating their services and systems into your website. SagePay have a number of integration options, ranging from a form based system that requires no PCI compliance, right through to a full real-time authentication system where your website actively interfaces with the payment gateway.